This book, first published in 1948, grew out of a series of lectures delivered since the War at the Middle East Centre for Arab Studies to British students who required a solid grounding in Middle East history and politics to assist in fitting them for active careers in the region. These lectures, by a leading specialist on Middle Eastern history, generated such interest that they were adapted and published in book form for a wider reading public. 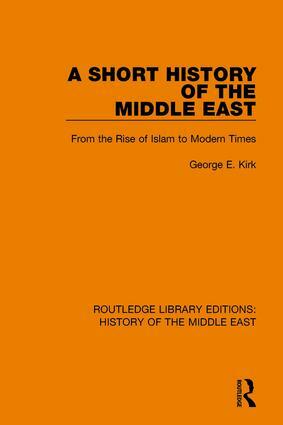 The book forms a comprehensive introduction to the history of the Middle East.